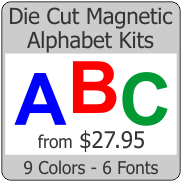 Coming soon - all of our magnet options with printing for indoor and outdoor use. Square Cut, Indoor/Outdoor Durable Calendar Magnets are printed in high resolution on thin (0.020"&n.. Inexpensive and effective way to keep your message around. 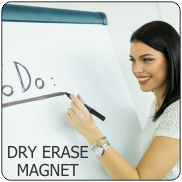 Our die cut fridge magnets are printed on..
Square Cut, Indoor/Outdoor Durable Fridge 0.020" Magnets Pricing ..
Can you think of another way to advertise your business to hundreds or thousands of people every day..
Make your company stick out with a unique oval-shaped car magnet! Our magnets are printed on VINYL n.. The bright glimmer on our Reflective Magnetic signs is sure to bring the most attention to your vehi..
Help your business stand out with these unique round magnetic signs! Our magnets are printed on..
Beautiful Save The Date Fridge Magnets. Printed on high quality photo paper laminated to flexible ma.. Working on a tight budget? Value magnetic signs get your business the visibility you deserve at pric..